Hey Guy's, today we were learn to Rose with the help of graphite pencils. We known that we gift rose to special one's and you can also gift rose drawing to special one's. This drawing will help you in the improvement of your drawing skills. 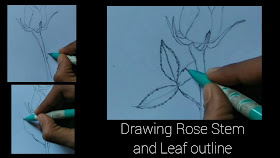 So before we start let's know the drawing tools first that we need for to draw rose. 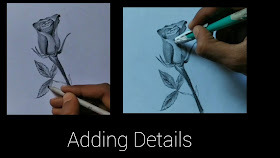 •We need to draw outline of Rose with the help of light grade pencil or with mechanical pencil so you can easily erase it. •Use blending stump for to give smooth texture on rose and it will give us realistic look. 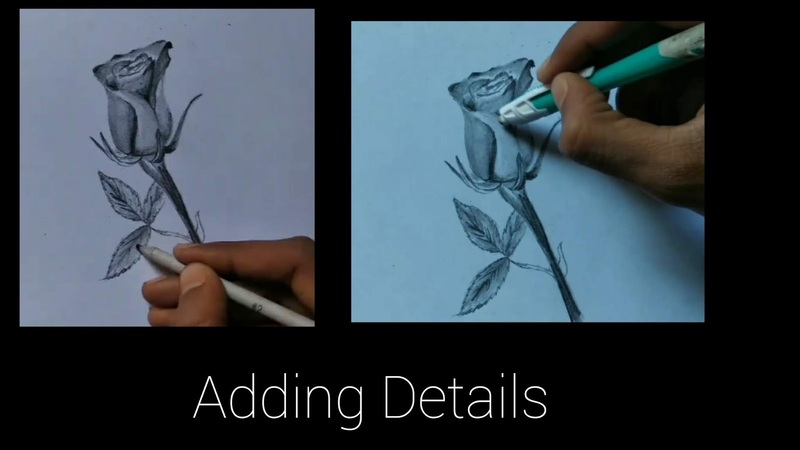 •Use pencil eraser or kneaded eraser for to add details in rose drawing. 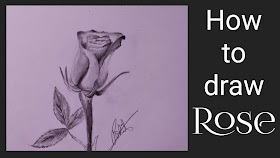 After knowing all this important point let's start the step by step tutorial for to draw Rose with the help of Graphite pencils. 1.First step: In the first step we will draw the outline of rose patels. Here I am using mechanical pencil you can use HB pencil or 2B pencils for to draw outline so you can erase it easily. 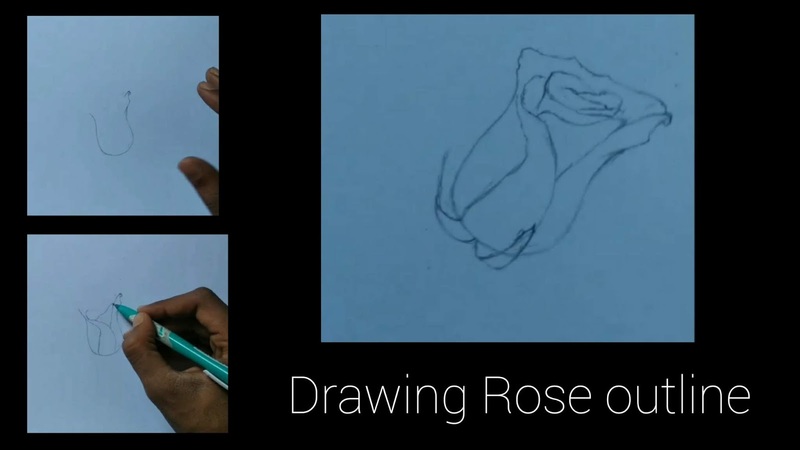 You can draw outline of rose petals according to the image step by step. First start to draw petals from the top and proceed slowly - slowly. Then draw corner outline of the rose petals. 2.Second step: Now friend's in second step we will draw the outline of rose stem and rose leaf. We need to draw to lines through downwards form the rose petals and it should be thin in shape. 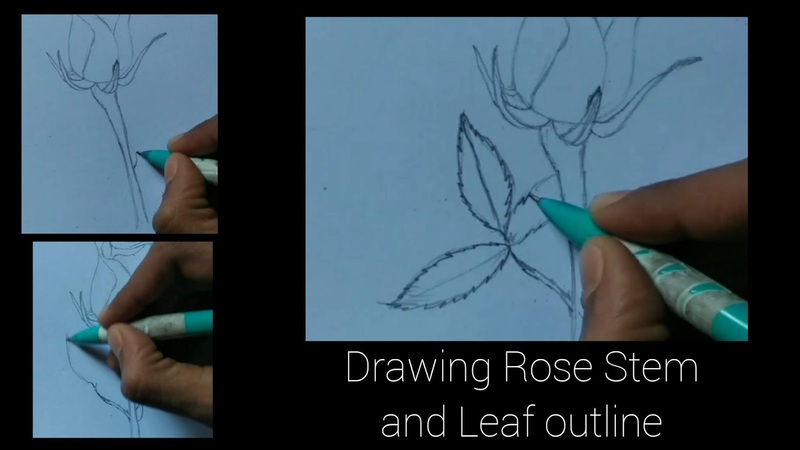 Draw leafs from stems and remember in mind that we need to draw leafs shape according to rose leaf. Rose leafs will be having pointed corner and you can see how I draw this patterns in above image. 3.Third step: In third step friend's we will do shading for the rose petals. For shading First I shade with 4b pencil at the all areas petal. Then I use 6b pencils to highlight the some darker areas of rose petals. We need to use 8b pencils at some corners of rose petals. 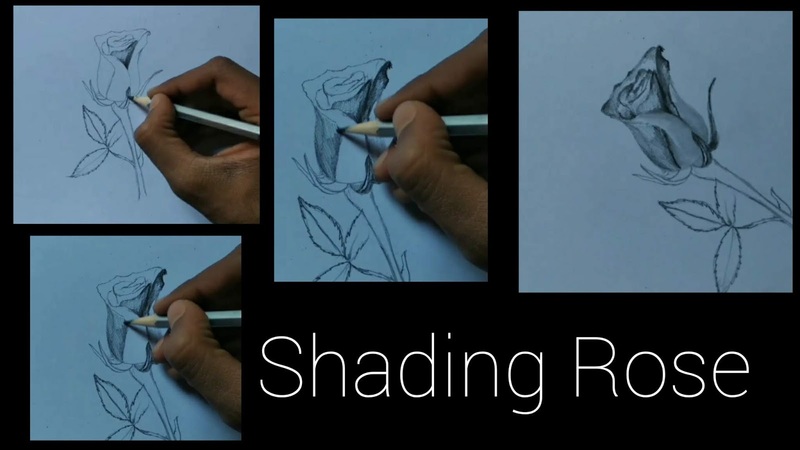 You can shade according to your rose refrence image. 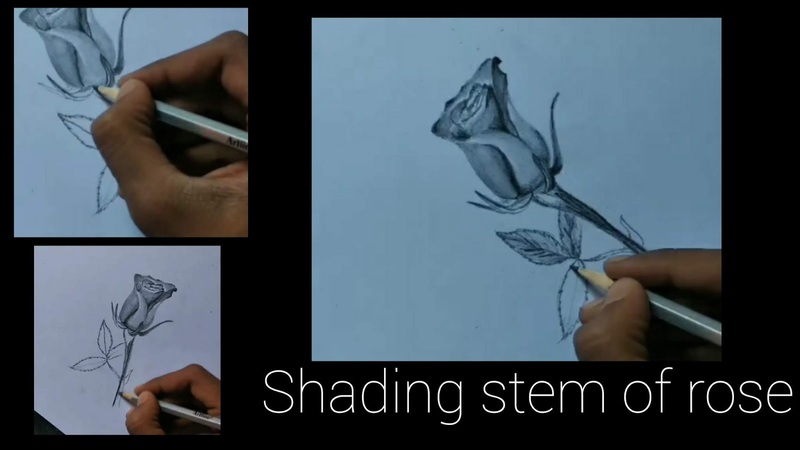 4.Fourth step: In this step guy's we will shade stems and leaf part. For to shade leafs we need to use 6b and 8b pencils. First we shade with 6b pencils and then use 8b pencils according to need. For to shade leafs I have used only 2b pencils because we need not to add darker shades to the rose leafs. After shading leafs we add some pattern with 4b pencils on the leaves. 5.Fifth step: At last step friend's we will do blending and add some details by using pencil eraser. Here I am doing blending with the help of paperstumps and we need to use paperstumps at the rose petals so it will look realistic. At last use pencil eraser for to add some white texture according to the reference image. 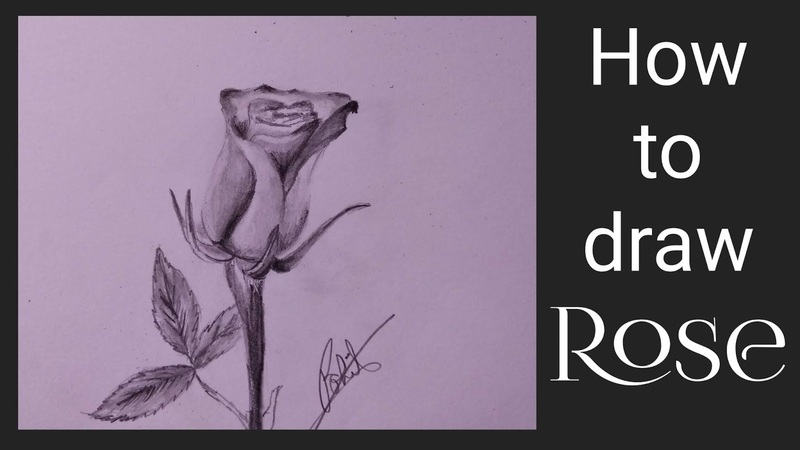 So I hope friend you understand well to draw Rose with the help of graphite pencil. 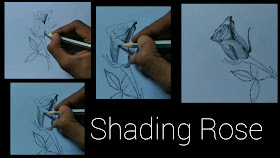 For more information you can watch our YouTube videos or also watch our latest drawing tutorial blogs.